How I Raised My First Ever Seed Round As A Black Woman Founder - POCIT. Telling the stories and thoughts of people of color in tech. Yesterday, I received the first installment of investment (total $180,000) into my company @CashmereTheApp as a young 26-year-old black female first-time founder. I can’t believe I’m writing this. When I made the plunge, I said to my close friend @deborahokenla, by the 31st of October, I will secure the investment’ (top tip – have an accountability partner). I put together a list of investors I wanted to speak to and asked friends in my network to connect me with anyone they knew. I was ready to dazzle them with my brilliance and my wit. As time was going by, I could see my savings depleting way faster than planned. I was paying half of my parents’ mortgage & supporting my siblings; this is the level of personal stress we don’t often talk about in regards to entrepreneurship! Towards the end of August, I was introduced to an Angel investor via a lady I met during a Black History Month event hosted by Bloomberg. We spoke briefly and connected on LinkedIn. However, this is where things get very interesting. The Angel didn’t initially want to meet due to his lack of understanding of the Fashion-Tech or FinTech space, but his close friend [lady from the Black History Month event] forced him to meet me anyways. She vouched for me despite barely knowing me. After a series of meetings, on the 24 October 2018 (one week before my deadline), he decided he was going to invest in me. When I got home from the meeting, I ran into my bedroom and cried. But I’m a practical person, so I wasn’t going to stop pushing him until the funds were in the company bank account lol. I’ve heard horror stories from some of my peers! I then spent the last 3 – 4 weeks sorting out all the paperwork, etc. while also attempting to run the business. Top tip – find someone else in the team to manage the day to day business while you as CEO are fundraising. Doing both is near impossible. Raising money was probably the hardest thing I’ve ever had to do. I’ve have been doubted, have had people waste my time and been exploited for personal gain. I want to give a special thank you to some of my friends who have been so instrumental in this journey – introducing me to key people, plugging me, helping me with my deck, staying up late to help me refine my pitch, constant encouragement, etc. You guys are amazing, and I love you all! What’s next for us? Well Team Cashmere aka myself, @i0sTaila (CTO) and @missionworldie (Marketing Manager) will be focused on improving the product and growing our users + community. Got some exciting things planned for 2019 and beyond! • if you’re interested in investing (we’re keeping our round open for a bit), get in touch! 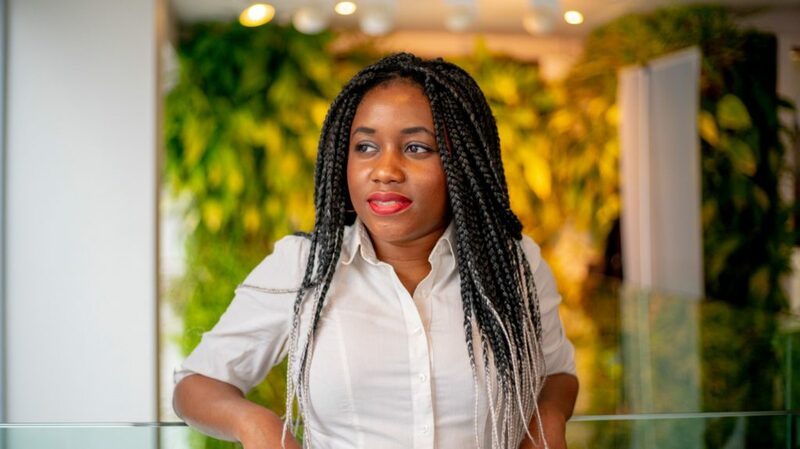 Urenna Okonkwo is the founder and CEO of Cashmere, an early stage fintech startup.